It will assist students making their first approach to Marx's thought as well as those ready to study the Manifesto in more depth. 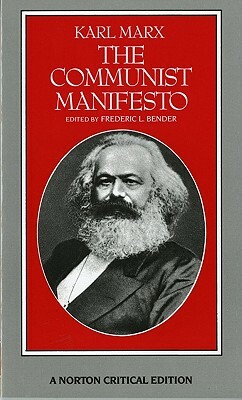 For beginning students, this edition provides a carefully annotated text of the Manifesto and two introductory sections by Frederic Bender, a "Chronology of Events Leading to the Communist Manifesto" and "Historical and Theoretical Backgrounds of the Communist Manifesto." More experienced students will benefit from selections on the sources of Marx's thought, the significance of the Manifesto in the history of Marxism, and recent interpretations of the work.